The sheer number of tourist attractions in Buenos Aires, Argentina can feel overwhelming, but this 3-hour Buenos Aires city tour allows you to hit all of the highlights in short order with interesting, educational commentary from a local guide. 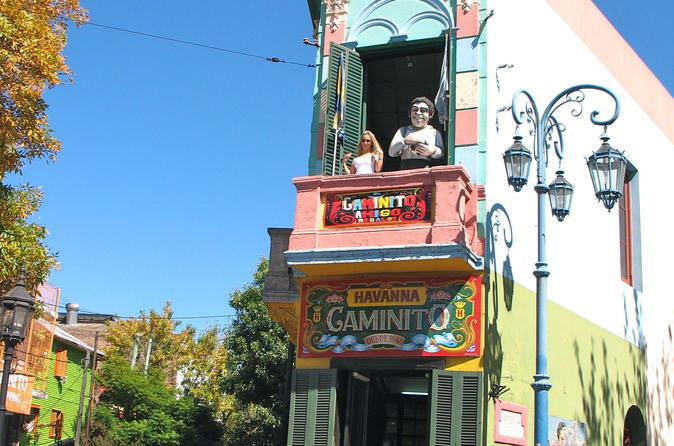 Your coach will continue on to tango-centric San Telmo by way of Puerto Madero, where you can visit the weekend antiques market if your sightseeing tour of Buenos Aires occurs on a Sunday. 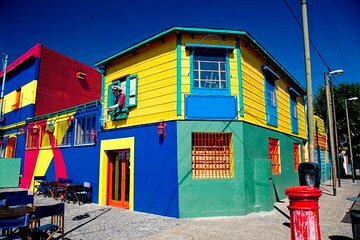 Colorful La Boca is up next, originally an Italian neighborhood with a famous pedestrian-only street called the Caminito. Disembark and stroll through the community of local artists selling their masterpieces on the street. Back on the coach, continue to populous Palermo and tour through Palermo Woods, home to the city's planetarium and the Buenos Aires Zoo. Your tour will end up in exclusive Recoleta, home of many of the city's most impressive mansions and one of the Buenos Aires' most treasured cultural attractions, the Recoleta Cemetery. You'll be dropped at Galerias Pacifico, a shopping area where you can explore at your own pace.